I had the pleasure of meeting a special couple two weeks ago at my Studio in Boston to discuss the design for their October wedding. The energy in that meeting told me immediately that I wanted to share my creativity for their special day. Just last week they booked Dana Markos Events to share in their day, and are very excited!! I introduce to you Erin and Andrea, two very special women who will be working intensely with me to design and plan their spectacular wedding event. They met after a post online and agreed to a first date at the club cafe in Boston, talked for hours getting to know each other and found calm with each other. Three years later, with very busy law careers, they continue to make each other laugh........ and they love to laugh!! So, I had this great idea to use our blog as a way to follow a couple leading up to their wedding day. Over the next six months I will be sharing with you many aspects of the planning Erin, Andrea and I will be exploring. Their design choices and inspiration board will be highlighted as on ongoing blog to update you on their progress. As with so many weddings today it begins with a Save-The-Date. 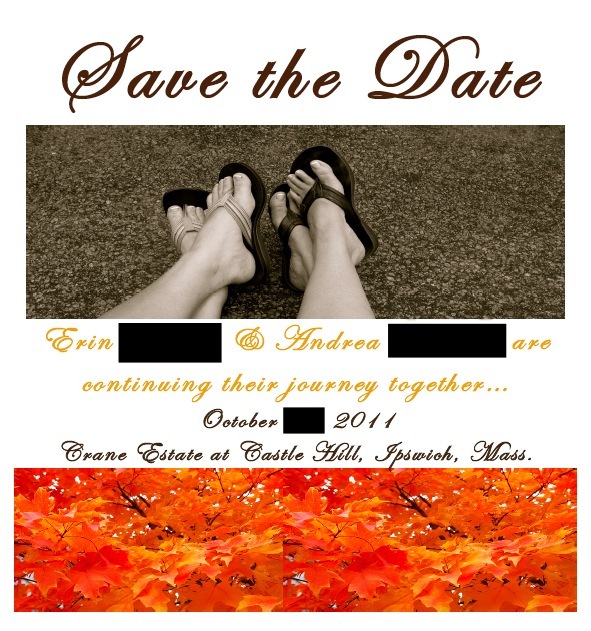 The unique layout of Erin and Andrea's tells you their event will be one of unique style and elegant whimsy. We'll continue taking you on the exciting journey as Dana Markos Events helps plan this special day for this very fun couple. Can't wait for this journey to continue! 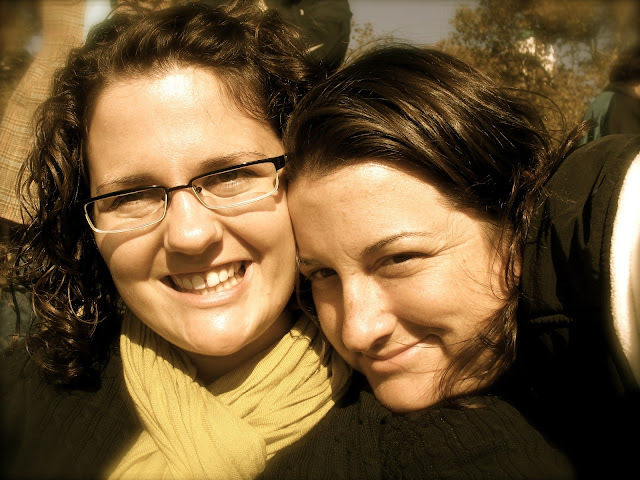 Thank you for sharing Erin and Andrea's story with us. Lucky to live in Massachusetts! Best wishes on your journey together.